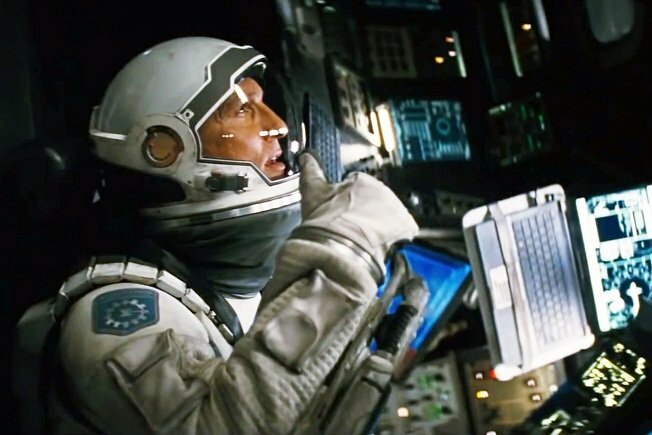 Christopher Nolan’s cosmic adventure is dazzling, but too literal-minded — and, man, is it long. True to form, Nolan’s film will nudge his fans into the core of delectable bafflement and science-bending construct (What happens inside the wormhole? What does it look like when you fold time?). And the spectacle — the dust-covered Midwest, the extraterrestrial calamity, the view of a cosmic maelstrom and the black hole — presents a bold vision from the pensive professor of the Hollywood factory. Going cerebral while grinding the emotional is Nolan’s trademark. His serious tone is massaged on the most abstract themes: the meaning of memory in Memento, the layers of dreams in Inception and the oceanic, black, beauty of the unknown — deep space — in Interstellar. Lathered on them, sometimes, is a Shakespearean labyrinth of anxieties, as in The Dark Knight. In a not-too-distant future, when Earth is nearly spent, dust covers everything and the “caretaker population” — at least in the US — farms corn to feed the dwindling human race. Cooper (Matthew McConaughey), is an ex-pilot/engineer who’s reduced to an agricultural existence, and frustrated that his abilities mean nothing in a dying world. Cooper has a son, Tom (who grows up to be played by Casey Affleck), and Murph (first the brilliant Mackenzie Foy and later Jessica Chastain). When Cooper deciphers a mysterious binary code on his daughter’s bedroom floor — this is just one of the geek-speak deluges that messes with you throughout the film — he joins the now-clandestine Nasa, led by Dr Brand (Michael Caine). 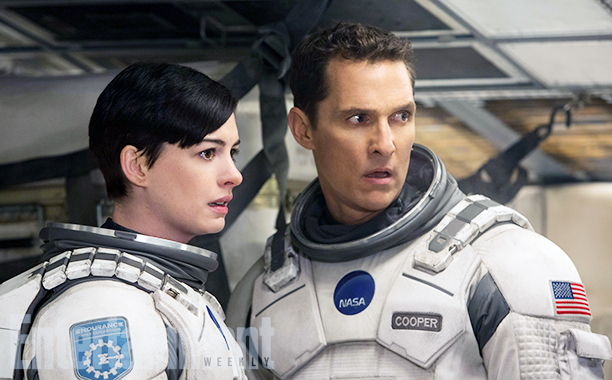 Soon Cooper and Brand’s daughter Amelia (Anne Hathaway) are blasted off into space to search for a habitable planet that will be mankind’s new home. Cooper’s anxiety isn’t about finding a new interstellar home, but coming back to his daughter, who nurses a grudge against him for leaving her on what seems to be a suicide mission. The Nolans (Christopher directed and co-wrote the script with brother Jonathan) throw everything into the cauldron: a space adventure, a suspenseful thriller and a domestic melodrama that aims for nothing less than a weepy climax. 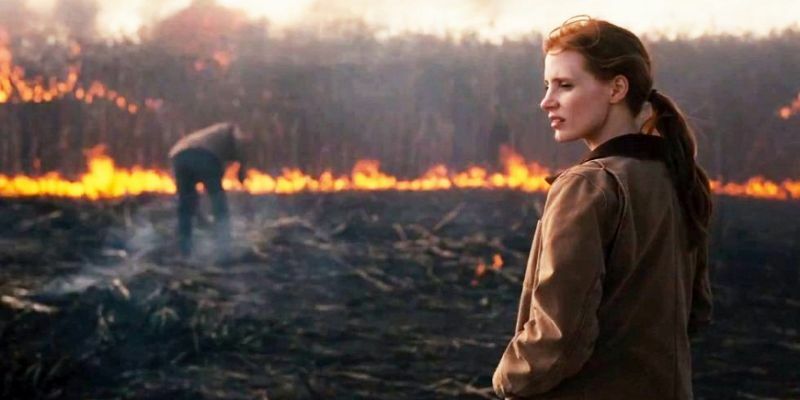 Interstellar is stunning, but it’s also frustrating. This is a manufactured epic wrought in the complex mould that combines Hollywood dazzle with deep-thinking sci-fi metaphysics — and as these two layers pile up, the film begins to feel bloated. When we feel wowed, it’s not because the film pushes our perception beyond our existential limits but because it’s such a well-made sci-fi package. Space is a void. It’s the great abstract, and thus a great cinematic vehicle. But Interstellar, for all its 160-minutes, is too literal-minded, too conspicuous to leave us with a sense of doubt and apprehension.